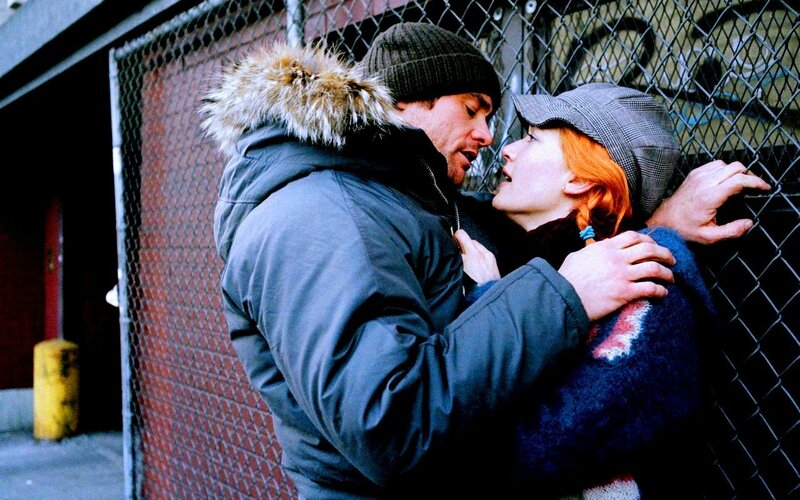 Joel & Clementine. . HD Wallpaper and background images in the Eternal Sunshine club tagged: eternal sunshine of the spotless mind clementine joel joel and clementine kate winslet jim carrey wallpaper. This Eternal Sunshine wallpaper contains 체인 링크 울타리, chainlink 울타리, 거리, 도시 현장, 도시의 설정, 도시 장면, 도시 설정, 도시 거리, and 도시 장면 설정.